Home BUSINESS EMPOWERMENT About 1.5m youth benefit from tenders, entrepreneurship training. About 1.5m youth benefit from tenders, entrepreneurship training. 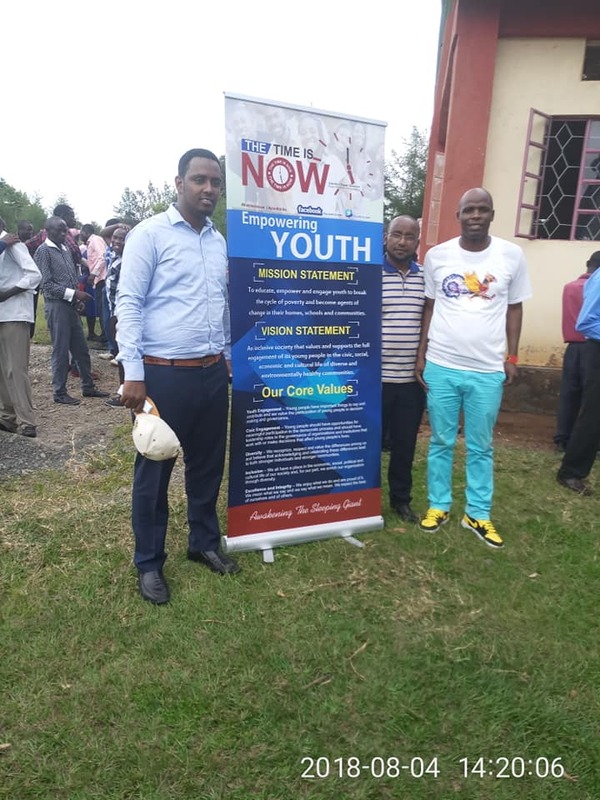 Witeithie MCA Julius Taki Macharia(right) pose for a photo after the event to empower the youth in Kakamega County. A section of youthful MPs, MCAs and youth leaders drawn from Jubilee Party, Amani National Congress (ANC) and Orange Democratic Party (ODM) have come together to empower the youth through training and networking programmes across the country. Through an initiative dubbed “The Time Is Now Youth Forum”, the leaders are equipping the young people with skills to enable them generate income and be self-reliant. Witeithie MCA Julius Taki Macharia who is the chairperson of this forum says that the initiative was conceptualised following the famous President Uhuru Kenyatta and ODM Raila Odinga’s “handshake” that paved way for leaders across the country to work together for national development devoid of the animosity that was previously occasioned by political and ethnic differences. While speaking in Lugari Constituency on Monday after hosting more than 1000 youth from the 12 sub-counties of Kakamega County, Macharia said that their mission was purely to ensure that the youth agenda has been realised. He added that they have been crisscrossing the country and engaging the youth as they stressed on the importance of being self-reliant. “We have done these events in Embu, Garissa, Nairobi, Mombasa, Kisumu, Kiambu, Murang’a, Nakuru, Nyahururu and today we are here at Kakamega County. We are sensitizing the youth on procurement and tendering processes and how to take advantage of the opportunities therein in both the national and county governments,” explained Taki. He added that they were also urging the youth to take advantage of the available digital platforms to do business. He cited Witeithie Ward as an example where he had assisted over 42 groups this year to get registration and starting saving money. Women Rep kitty. Just to mention but a few,” said the Witeithie MCA who has been very instrumental in the fight against drug and substance abuse in Juja Sub County. Lumakanda MCA Leylah Muhandale urged all elected leaders to lobby for the youth to get tenders in government as a way to draw them away from drug abuse and crime. He added that theirs was not limited to any calibre of youth as they intended to bring together graduates, those in the informal sector as well as youth living with disability.